Algiers, April 06, 2018 (SPS) - Algeria expressed "satisfaction" with the willingness of UN Secretary-General Antonio Guterres, renewed in his report to the Security Council to prelaunch the talks process and facilitate direct negotiations, in " in good faith, and without preconditions" between the conflicting parties, Morocco and Frente POLISARIO, in order to reach just, lasting and mutually acceptable solution, which guarantees self-determination of the Sahrawi people, Foreign Ministry Spokesman Abdelaziz Benali Cherif said in a statement to APS. 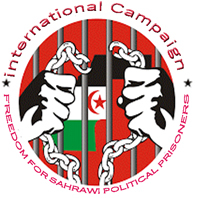 "It (Algeria) also expressed concern over the serious violations of human rights, including the use of torture against Sahrawis in occupied Western Sahara, as well as the restrictions imposed on the access of foreign journalists and human rights defenders to Western Sahara territory, as reported by the UN Secretary-General in the same report, "said Benali Cherif. In this regard, "Algeria shares the UN Chief opinion that the independent, impartial, comprehensive and lasting monitoring of Human Rights is a necessity in order to protection the Sahrawis," he said. In the same regard, added the Spokesman, Algeria expresses "concern over Morocco’s refusal, also mentioned in the Secretary-General report, to allow the African Union Mission (AU) to return to Aaiun and resume its collaboration with Minurso. The 30th Ordinary Session of the AU Heads of State and Government, held on 28 and 29 January 2018 in Addis Ababa, had urged Morocco to allow this Mission to return to Aaiun." Moreover, Algeria regrets "the persistence of restrictions and other obstacles imposed by Morocco to the UN Mission for the referendum in Western Sahara (Minurso) which, as reported by UN Secretary-General, undermine Minurso impartiality and are contrary to the Agreement of principle concluded with the Moroccan Government in 2015," he added.